More than 140 recipes from San Antonio’s favorite Tex-Mex restaurant, featuring dishes for breakfast, lunch, dinner, and dessert (plus cocktails!). Since 1979, Los Barrios restaurant in San Antonio, Texas—the heart of Tex-Mex cuisine—has been serving up casero, or home-style, cooking that has charmed food critics and earned an impressive following. Founded with a small investment and a lot of spirit, Los Barrios built its reputation on the authenticity of its cuisine. 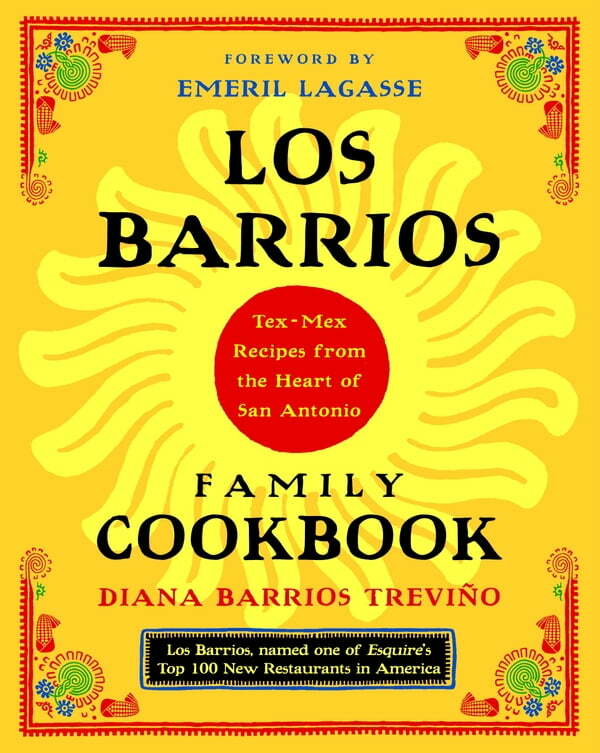 The Los Barrios Family Cookbook offers these reputation-making recipes—from simple but impressive traditional Mexican dishes, many of which have been handed down and perfected through the generations, to modern Tex-Mex favorites—to fans of Southwest cuisine across the country. Included are recipes for Mexican essentials: Homemade Flour Tortillas, Tamales, and Pico de Gallo; Barrios family specialties, such as Mama Viola’s Chicken Rice Soup and Acapulco-Style Ceviche; and the classics—Chiles Rellenos, Chalupas, and Enchiladas Verdes. All the recipes contain easy-to-find ingredients, and special cooking tips will help you prepare dishes at home that will be as delicious as those served in the restaurant. The Los Barrios Family Cookbook is a comprehensive and indispensable resource for food that explodes with flavor. ¡Buen provecho!